Mineral oil-free, silicone oil-free, paraben-free and PEG-free. Our “RAU Cacao & Shea Butter Face Cream” is a rich winter protection cream with a high percentage of shea butter, cocoa butter and rice grains oil. It protects and nourishes your skin in cold and wet weather as well as at dry heating air. The applied active Swiss substances complex TRIMOIST supports the skin’s moisture balance with its lipid-replenishing effect. Allantoin and Panthenoal soothe the skin. 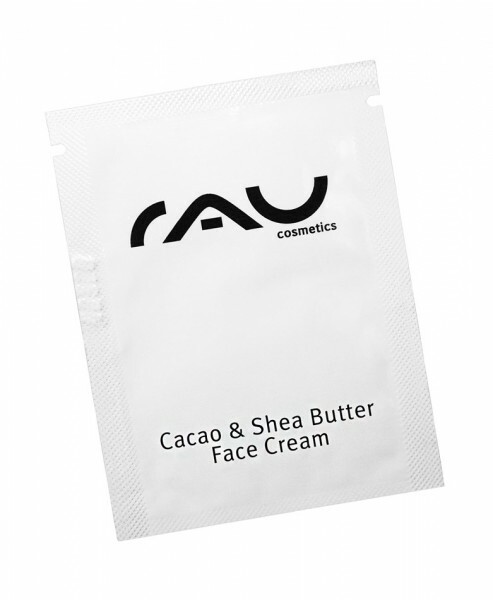 Related links to "RAU Cacao & Shea Butter Face Cream 5 ml"
Customer evaluation for "RAU Cacao & Shea Butter Face Cream 5 ml"